[0:01] <MTecknology> hrm... the update seemed to almost go really well. The only issue I have is the mifi dongle not being recognized. [2:06] <MTecknology> oh... I think it was installing kernel headers and restarting that got it to start working. [2:27] <bobstro> you're going to miss out on all the fun of predictable interface names by upgrading! [5:46] <spacerabbit> no zero W? [7:15] * MTecknology needs the extra horse power that comes w/ the pi3, else the pi0 would look really interesting. [8:08] <IanTLopp> MTecknology, it just depends upon what you want to do with it. [8:10] <MTecknology> it'll work on the rpi2b, but it requires setting a really high timeout value. [8:14] * IanTLopp is not familiar with puppet, ansible, cfengine, or chef either. [8:14] <IanTLopp> not applications that I mess with I suppose. [8:15] <IanTLopp> no biggie - did a brief search and it's not in a field I mess with so, for now, don't need to know. [8:15] <IanTLopp> or at least, don't need to research further. [8:17] <MTecknology> my specialization is system automation. My latest personal project is getting to the point where I define a VM/VPS in Netbox and wait for salt to deploy/configure or destroy the system, get it in the load balancer, get it in dns, etc. [8:18] <IanTLopp> destroying a system seems counter productive. [8:19] <IanTLopp> so what are these vm's supposed to do that you're setting up? [8:21] <MTecknology> depends on what I name them. If something is named prd-lb50-01.sub.domain.tld, then it's a load balancer for vlan 50. If it's named prd-ns-*, then it's a name server. Whatever I previously stuck into the git repos that salt reads from will define what is configured on that system. [8:22] <MTecknology> prd-pubweb-* is my public web site, dev-pubweb-* is for an internal testing copy of it. [8:33] <MTecknology> Since that demo repo, I came up with a much more dynamic way to handle cluster setups, since I also tried to design it all around the idea that anything can become redundant behind a LB. [8:41] <IanTLopp> problem is, I know the concept of a load balancer, but I don't know what it's being used for in your setup. What I know of load balancers is using multiple network connections to allow faster data transfers, a load balancer makes sure that all the duty of a data transfer is properly balanced across the multiple connections. [8:41] <IanTLopp> of course I could be horrifyingly wrong, but that's what I understand it to be. [8:46] <IanTLopp> okay... makes sense. [9:00] <MTecknology> actually... the bestest best load balancers are physical pieces of hardware (like f5 or a10) that understand lots of things at most of the layers of the osi model. Those suckers can do fancy things like maintaining synchronized session states between devices so that even stateful protos won't notice an outage of one of the devices. [13:31] <AntiComposite> While the RPi is not "production hardware", it does handle that type of job fairly well. [13:49] <gordonDrogon> Vooloo, I run several 24/7. Phone system, oven controllers, stuff like that. [14:20] <Vooloo> gordonDrogon: okay nice, do you know how many kW per month such a system uses approx? [14:55] <gordonDrogon> Vooloo, no idea, but it's the sort of thing I'd suggest you work out for yourself. Start by assuming a Pi runs at 4 watts and take it from there. [14:56] <gordonDrogon> and note your units - you really want to know kWh, not kW. [16:29] <mfa298> Id question how you're measuring that - I'm not sure I'd necessarily trust my switch - although I'd trust it more than a cheap meter. [18:04] <akk> Does the backspace key send anything? It should. [18:10] * caoliver forgets if "showkey" is in the standard distro. [18:10] <akk> It might be something screen is doing on your end. My backspace key erases characters in bash. [18:11] <akk> Though sudo showkey doesn't show anything for it, apparently the terminal is still in cooked mode so it's still erasing characters even in showkey. [18:11] <caoliver> Ignore me. I thought you had a keyboard hooked up directly. [18:12] <caoliver> showkey dumps scancodes for a locally attached keyboard. [18:12] <akk> ikkuranus: It works in bash? Where does it not work? Evidently it's a problem with whatever program that is. [18:13] <akk> Can you be more specific about the exact problem you're seeing? [18:13] <caoliver> Ok. You say "it works in bash." This implies something you run doesn't handle BS or terminal settings correctly. [18:13] <akk> I assumed we were talking about something on the pi, that's the default for questions ehre. [18:14] <caoliver> I'm assuming there's some termios muckity-muck that's not handled correctly. [18:15] <akk> ikkuranus: screen is normally used as a way to log in to the pi, and run bash. [18:16] <akk> ikkuranus: But you said it works in bash, so we're guessing you're connecting, then (in bash) running some other program where the key doesn't do what you expect. [18:19] <caoliver> akk, do you mean GNU screen here? [18:19] <caoliver> OK. I ordinarily use a rxvt terminal window, but OK.
[18:19] <akk> yes, which is a tool most often used for logging in to the pi to get a bash shell. [18:20] <akk> Maybe ikkuranus is using it to do something else but hasn't told us what. [18:22] <akk> Oh! You're running screen on the pi to connect to something else (I don't actually know what a managed switch is), not running screen on another computer to connect to the pi? [18:22] <akk> This is a network switch that's managed over a serial line? [18:23] <caoliver> I'm glancing at the man page for GNU screen, and I'm not seeing on option for connecting to a given tty. [18:24] <akk> And on the pi, you're using a directly connected keyboard or ssh, same result either way? [18:24] <caoliver> I think you may be using the wrong tool to talk to the port's serial line. [18:25] <caoliver> If /dev/ttyUSB0 is some sort of USB serial adapter, you might want to look into seyon or minicom. [18:25] <akk> Screen seems like a reasonable tool -- it's what I use on linux to type to a serial line. [18:25] <akk> And it should send backspace like any other key. [18:26] <akk> ikkuranus, do you have a .screenrc ? [18:27] <caoliver> I thought GNU screen was for multiplexing several sessions over pseudo-terminals. [18:28] <akk> caoliver: It's used for a lot of things, but one of those is that it's the most common tool for running a terminal over a serial port. [18:29] <akk> Seems strange, I know, but it seems to be the best supported option. [18:30] <caoliver> Eh? 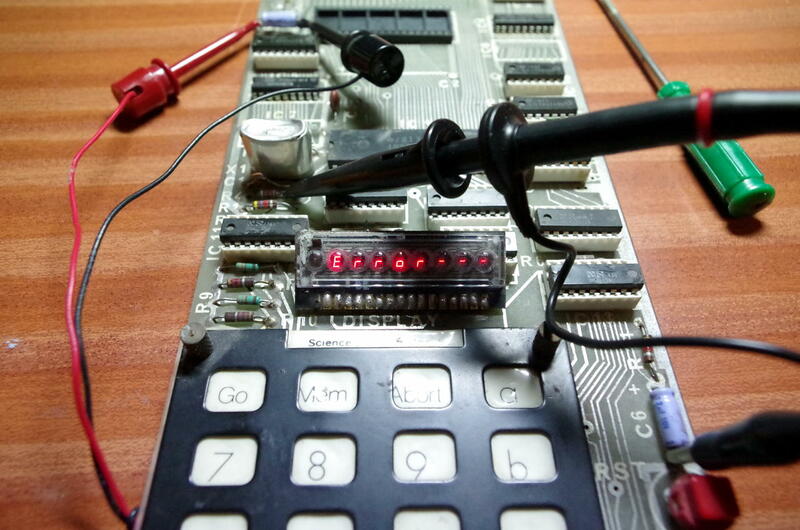 I've been using screen for about 30 years, and it's never been about serial port manipulation. [18:30] <akk> caoliver: As I said, it's used for lots of other things too, but that's one thing it's commonly used for. [18:31] <caoliver> I'd use minicom simply 'cos it exposes termios params via its command interface. [18:31] * caoliver is doing that on a commercial project now. [18:32] <akk> ikkuranus: Try the workaround in comment 24 in that bug. [18:43] <Blade2021> Does anyone know if you can use a function node in Node-red to check time? [18:43] <caoliver> TIL device windows. [18:43] <Blade2021> did a quick search but didn't see anything. [18:43] <caoliver> Was it an stty thing? [18:56] <akk> It probably was coming from stty but that mapping lets it ignore the stty settings. [18:57] <akk> I figured ikkuranus was fine with the existing stty settings so it was better not to change them. [19:00] <caoliver> Still. TIL I don't need seyon and minicom. [19:32] * caoliver just crosswired two USB serial dongles and made them talk to each other via screen. [19:33] <caoliver> I suspect hardware port support was added subsequent to the time I learned screen. [19:33] <caoliver> I used it the run emacs and test runs on separate terminal when I had to use a vt220 in a public lab to access Suns. [19:34] <caoliver> So please forgive my ignorance. [19:37] <caoliver> That sounds like corporate hardware. [19:38] <gordonDrogon> minicom works for me - well enough that I've never bothered to write my own. [19:38] <caoliver> Last I checked, 10GB over wire was pretty expensive. [19:40] <caoliver> gordonDrogon, sadly, some of the serial stuff I talk to uses a binary format, so terminal chats get you only so far. [19:41] <stiv> is xmodem still around? [19:41] <caoliver> That's a name I haven't heard in a long time. [19:42] <gordonDrogon> x,y,z modem are file xfer protocols - unually buried in terminal programs these days. [19:42] <caoliver> I don't think I've seen those since my early dial-up days. [19:43] <gordonDrogon> Kermit was popular in the UK. [19:43] <caoliver> I forget what I ran on the Amiga. [19:44] <caoliver> In 1994, two friends and I started a mom-and-pop ISP, and I set up a Linux box and it was on a dedicated line chatting CSLIP. [19:44] <akk> I think I ran something on PCs that had a really short name, like xz. [19:44] <caoliver> I don't think I've dealt with serial file tranfer since. [19:45] <akk> when I'm stuck somewhere where there's no wifi and I'm using the serial cable. [19:45] <gordonDrogon> akk, you have a million options. [19:45] <akk> BurtyB: That sounds right. [19:46] <gordonDrogon> and before base64 which is a bit more efficient (but not much more) than uu. [19:46] <caoliver> These days, I'd just do point-to-point ether and scp the beast. [19:46] <akk> gordonDrogon: I should look into that. I guess maybe with a program like minicom rather than using screen? [19:47] <caoliver> Null ethers aren't that hard. [19:48] <gordonDrogon> akk minicom supports xmodem xfer, so you can minicom into a Pi via serial then run lrzsz on the Pi then xmodem files into it. [19:48] <akk> gordonDrogon: Cool, I'll try that, would be a useful tool to know just in case. [19:49] <caoliver> gordonDrogon has few hairs, and they're all gray. [19:49] <caoliver> S'ok. I did my coming-of-age on a PDP-11/34. [19:49] <gordonDrogon> however that sun 3/50 came in round about 1989. [19:50] * caoliver misses the mc68k. [19:50] <gordonDrogon> ah, pdp 11/40 was my first unix system. [19:50] <caoliver> My first there was a microVAX running Ultrix. [19:51] * caoliver wishes he still had his BASF orange jacket floppies with rt-11 for nostalgia sake. [19:52] <caoliver> Those were about the only good souvenirs from my highschool days. [19:52] <gordonDrogon> oldest floppies I have are for my Apple II's. [19:53] <caoliver> Sadly, DNS seems broken here. No idea why. [19:54] <caoliver> You didn't miss much. [19:55] <gordonDrogon> there is one on ebay, but he wants $stupid for it. 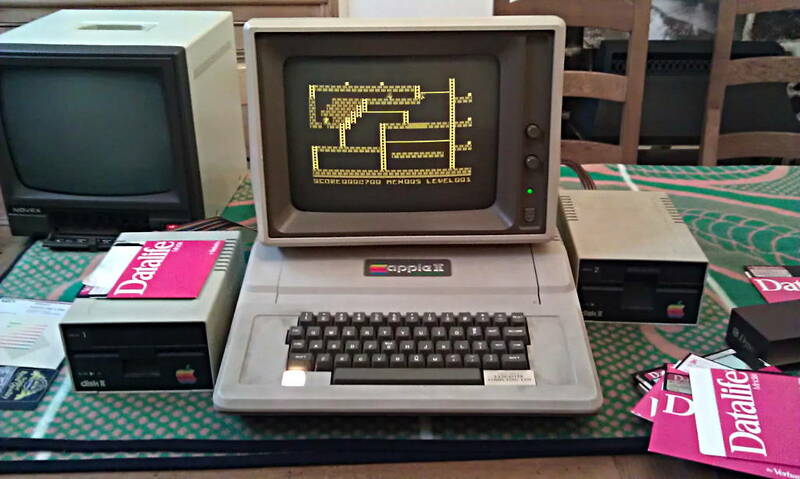 [19:55] <akk> I saved up for a TRS-80 but by the time I finally could afford one, I had access to better machines. [19:55] * caoliver owned some 9 track tape, but never mounted it personally. [19:55] <gordonDrogon> proper computers were just too expensive in the UK in the late 70's. [19:56] <gordonDrogon> it wasn't until the sinclair xz80/81/spectrum and the BBC micro in the early 80's that we could afford to own one. [19:56] <gordonDrogon> not counting the Mk14, but that was hardly usable. [19:57] <gordonDrogon> https://unicorn.drogon.net/stuff/mk14-e.jpg 128 bytes of ram. [19:57] <caoliver> I think a TI-58C was the fist computing device I owned. [19:58] <caoliver> Subsequently replaced by an HP41CV. [19:58] * caoliver is an RPN geek. [19:58] <akk> Yay, another HP41CV owner! [19:59] <caoliver> Not any longer. I do have a couple of hp42s and hp32s though. [19:59] <akk> I still have several HP41CVs though I seldom use them. [19:59] <caoliver> I have free42 on my linux boxes as the pop-up calc. [19:59] <akk> I keep wondering if they'll stop making N batteries. [20:00] <gordonDrogon> they didn't seem that popular where I was at the time. my good calculator was(is) Casio fx501p - not sure when I got that though - might have been 1980. [20:00] <akk> Hmm, minicom -b 115200 -o -D /dev/ttyUSB0 showed me the boot output and the login prompt, but it won't let me type to it. [20:01] <caoliver> The closest thing I have to that are some modern Ti CAS calculators. I picked them up cheaply at a garage sale, but I hate them. [20:02] <akk> gordonDrogon: If I quit minicom and connect with screen, it works, so the hardware is hooked up right. [20:02] <gordonDrogon> might want to tell minicom to ignore hardware handshake them. [20:03] <gordonDrogon> I think you need to do that in setup rather than from the command-line. [20:04] <gordonDrogon> I usually create profiles depending on what I'm talking to, usb serial port, etc. [20:04] <gordonDrogon> the trouble with these is that they all try to do too much - or have hangovers from ye olde days to do with "dialling", etc. [20:07] <akk> Yes, flow control was it. I can type at it if I switch off hardware flow control. [20:07] <akk> Now I need to figure out how to get it to remember that setting. [20:08] <gordonDrogon> you need to create a profile, or make it the default. I suspect I have it as the default in all my systems. [20:09] <caoliver> Seems as if there's a lot of stuff that needs RTS/CTS switched off. [20:16] <akk> I guess I could run it as root, let it write the file in /etc, then move that to my homedir. But ... ick. [20:21] <akk> Next question is, can minicom be configured to use something other than ^A as its command character? [20:21] <akk> Since ^A is an important editing character (beginning of line). [20:28] <caoliver> C-A C-A works. [20:29] <caoliver> I don't know if C-A is hard ocded or not. [20:50] <akk> but I got "Failure executing protocol." and now the connection is locked up, apparently the pi is still trying to receive. [21:05] <kraiskil> Is pigpio (http://abyz.me.uk/rpi/pigpio/index.html) the canonical way of accessing the GPIO headers in Linux? Starting pigpiod prevents I2S via ALSA from working (i.e. ALSA device is still visible, but no output on the pins). Am I just using pigpio incorrectly, or is there a better alternative? [21:08] <akk> kraiskil: I've never used a daemon and never used pigpio. There are lots of libraries that can access GPIO. [21:14] <gordonDrogon> akk, sorry - been away making banana fritters. [21:15] <gordonDrogon> akk, try this: login, run cat > file, then in minicom, I think it's Ctrl-O then Y and just send the file. [21:16] <gordonDrogon> kraiskil, there is no 'canonocal' way - there are at least 3 separate C libraries, pick which one you like the best. There are also at least 2 Python libraries, again, pick your favourite. [21:16] <gordonDrogon> kraiskil, what language are you programming in? [21:17] <kraiskil> what is the third one called? [21:17] <gordonDrogon> the third one is called something else. I care little for it. [21:19] <gordonDrogon> kraiskil, how good is your C ? [21:19] <kraiskil> gordonDrogon, fair enough. I'm trying to set up a HW clock output, but there doesn't seem to be a direct API call in wiringpi. Is it possible to set one up with wiringpi? [21:20] <gordonDrogon> kraiskil, there is only one clock pin you can use. [21:21] <gordonDrogon> however the frequencies supported by wiringPi are not the full range. [21:21] <gordonDrogon> but they were good enough for an application at the time. [21:22] <gordonDrogon> pigpio can do clocks on arbitary pins I think. wiringPi likes to use the hardware when possibly. [21:22] <gordonDrogon> there is also a softTone function in wiringPi - generates tones from 0 to 5KHz, however it's not without some jitter. [21:23] <gordonDrogon> that doesn't do any pin number re-mapping. [21:25] <IanTLopp> what's the most unique use of a raspi anyone's ever heard of? [21:26] <gordonDrogon> there is also a nice project using Pi's to emulate a PDP-8. [21:27] <IanTLopp> I'm still contemplating trying to figure out if it's feasible, and how smooth it would be, to use two raspi's connected to each other over a network, or the internet, to control servos on either end. Basically, push a robot on one end, the robot on the other end reacts as if it is pushed, etc. [21:27] <gordonDrogon> the box on-top (mine) is the PiDP8/i with a Pi zero inside. [21:27] <gordonDrogon> there are at least 2 Pi's in space on the ISS. [21:27] <IanTLopp> zleap, well yeah, the space thing... that's hard to replicate. [21:28] <IanTLopp> gordonDrogon, so, one more than I was aware of. [21:28] <caoliver> Isn't rad hardening an issue? [21:28] <gordonDrogon> the ISS Pi's are inside metal boxes. [21:29] <gordonDrogon> and computers on the ISS are generally OK from what I know - they have some more or less normal laptops, etc. [21:29] <IanTLopp> gordonDrogon, so aside from making lights flash from side to side, what else could a PDP-8 do? [21:29] <gordonDrogon> zleap, I'm out of the county this saturday anyway. [21:29] <gordonDrogon> IanTLopp, in the 60's the PDP-8 was the "arudino" of the day. [21:30] <caoliver> I know the subject is likely taboo here, but has anyone played with a pocket beagle here? [21:30] <gordonDrogon> and into the 70's too. I know of at least one still in daily use today. [21:30] * IanTLopp shuns caoliver for his use of competing tech. [21:31] <caoliver> I'm interested 'cos of the two MCUs hanging off the side. [21:31] <kraiskil> gordonDrogon, thanks. 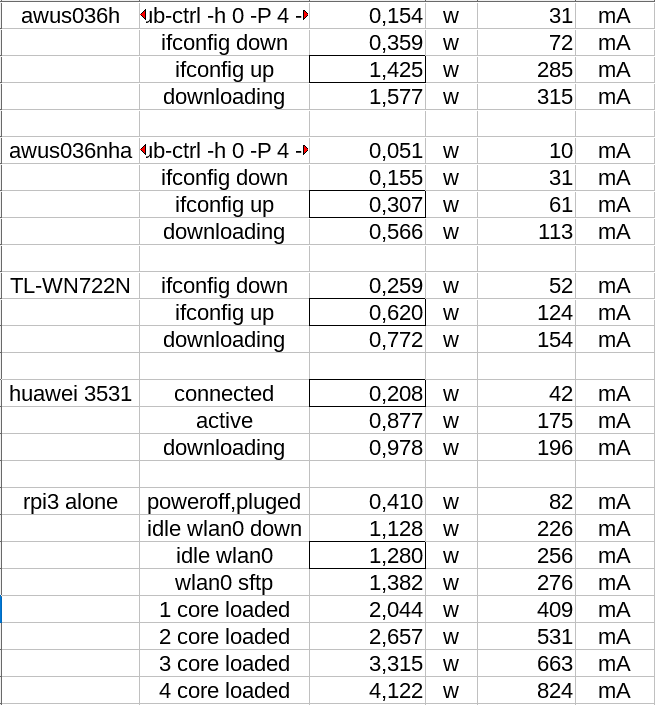 Reading the source of wiringPi, it seems the HW clock uses 19.2MHz as input. Would changing this be a big effort (or possible at all)? I'm looking for a 24.576 MHz clock..
[21:32] <caoliver> That might be useful where I'd need an outboard Arduino or the like. [21:32] <gordonDrogon> kraiskil, there are other clocks you can pick. I think one is a 250MHz one. [21:32] <IanTLopp> I'd love to make a real time drum and/or midi system using a raspi, but allow for custom timing. so while it's extremely responsive with whatever buttons/switches I provide it, I can add just a slight delay to mess with people, like a 75ms delay, but perfectly 75ms every time. [21:35] <gordonDrogon> kraiskil, I know what 24.576MHz can be used for, but I'm curious to know what you're using it for and why you don't just get an off-the-shelf xtal for it? [21:35] <caoliver> 75ms is a huge time blip. [21:36] <caoliver> Displacement should probably be in terms of the music tempo. [21:37] <gordonDrogon> there's all sorts of things going on in the Pi to thwart that 75Ms being accurate - it's not impossible, but very hard to achieve with no jitter. [21:37] <caoliver> 1/100 of a second is pretty obvious unless you have really no rhythm. [21:37] <IanTLopp> could even introduce a variable delay to really mess with people. [21:42] <caoliver> My nose just stopped running. [21:42] <caoliver> Maybe my upper lip will become less BRIGHT pink today. [21:51] <gordonDrogon> well it was an A380, so I hope she wasn't hacking into it! [21:51] <Maai> SO! DID! EYE! [21:51] <ebarch> heh. backseat flyer. [21:57] <Maai> is your bottom bright pink? [22:02] <gordonDrogon> it seems no-one is listening. [22:04] <caoliver> Maai, actually no. But it's not usually involved when I blow my nose. [22:05] <caoliver> My DNS is down, but IRC runs. Could some kind soul do a dig -x on 72.14.195.76 for me? [22:07] <caoliver> I HAVE NOT DNS. I CAN'T WWW. [22:07] <caoliver> Is that clear? [22:08] <caoliver> I have IRC and that's it for the moment. [22:08] <caoliver> No I have NO access to pastebin. [22:09] <caoliver> I want to know where in my upstream my TCP SYNs are getting blocked. [22:09] <caoliver> Hence my question. [22:09] <caoliver> I.e. I appear to be partially off line. [22:10] <gordonDrogon> can you not use google direct - 8.8.8.8 & 8.8.4.4 ? [22:10] <caoliver> That's the last IP that traceroute's giving me. [22:21] <IanTLopp> is there any particular wireless device that would be recommended for an older raspi, assuming physical size of the device needs to be as small as possible? [23:00] <akk> gordonDrogon: And that time I was away (not doing anything as interesting as banana fritters). But cat > and ctrl-A Y does work, at least for text files. [23:01] <akk> Kinda messes up terminal scrollback but certainly better than nothing. [23:09] <akk> Maai: That was in reference to a discussion earlier about how to send files with minicom over a serial cable. [23:11] <akk> minicom is supposed to be able to send files with x/y/zmodem protocol (with lrzsz handling on the pi end) but it looks like minicom and lrzsz don't play well together. [23:36] <fadavi> hey there. i've a RPi2 and an old unusable Samsung Galaxy S1 (i9000); can i use some parts of the i9000 in RPi2? specially LCD.